When we buy a new car, we do it in hopes that the car will last for a long time. There is no greater way to keep your car functioning at its highest level than by keeping up with scheduled maintenance check ups. Your 2018 Volkswagen Jetta will work like a finely tuned machine, whether you’re planning to visit the Timpanogos Storytelling Festival in Orem or you’re thinking about going out for a night on the town in Murray City or West Valley. At Volkswagen SouthTowne, we want to help your car hit its milestones with ease and keep performing as expected. As a result, we’ve created a Volkswagen Jetta Maintenance Schedule that owners should follow so they can expect the best from their vehicle. If you’re approaching one of these numbers, schedule service with us today. There are specific numbers that your car will hit in terms of mileage when attention should be paid. Throw your 2018 Jetta a little celebration in our service department when you reach each one of these numbers and your car will celebrate you for a very long time. Congratulations! Your car has traveled 10,000 miles, thus hitting an impressive milestone for any vehicle. 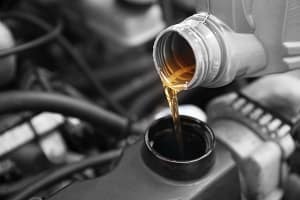 It is during this service that your local service expert will change your oil, which entails draining the old oil, replacing the filter, and adding a fresh batch of oil to the vehicle. During this service, it is also recommended that your tires be rotated to keep them up to par. At 20,000 miles, your car is just beginning to become used to the road and you are just fully becoming accustomed to your vehicle’s performance. This milestone is an important one as your technician will perform several of the same checks that happened in your first service, but will also add in some imperative items as well. During your 20,000 mile service, the service expert will also check out the battery function to ensure it is working at maximum capacity. At the same time, they will inspect the entire brake system, the tires, and the pollen filter. 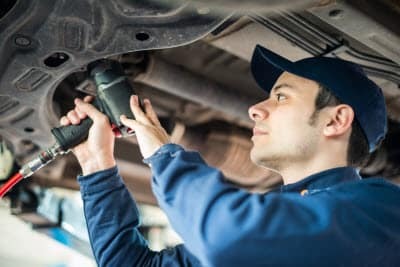 During this service check up, your car will be given a good once over and some things are going to need to be replaced. Once again, the technician will look at your tires and ensure that they’re in good shape, which they should be. They will also change the oil, unless you have recently done so, check some fluids, and once again give a cursory look at the braking system. However, during this visit, your car’s transmission system is going to be thoroughly inspected and the fluid and filter will likely be changed. This is important, especially in manual vehicles, to ensure that the transmission keeps shifting properly. The technician will also replace your vehicle’s spark plugs to keep your ignition firing properly. Volkswagen Jetta Maintenance: Schedule Service Today! Via our website, we offer convenient online scheduling so you can make a service appointment at your convenience. Our system will walk you through setting up service for your Jetta and all you need to do is drop it off. In Orem, Murray City, and West Valley, you need your car to function at it’s optimal level and at Volkswagen SouthTowne, we want to help with that. Schedule your service appointment today. Also, be sure to learn about our Volkswagen Care maintenance program.